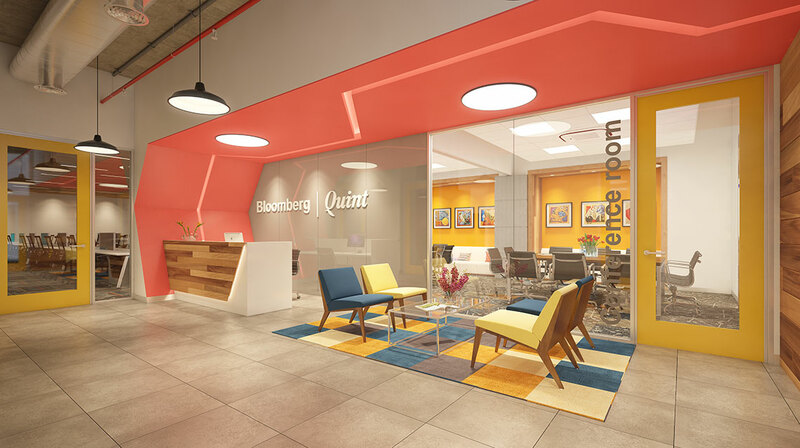 Bloomberg | Quint is a multiplatform, Indian business and financial news company that combines Bloomberg’s global leadership in business and financial news and data, with Quintillion Media’s deep expertise in the Indian market and digital news delivery. 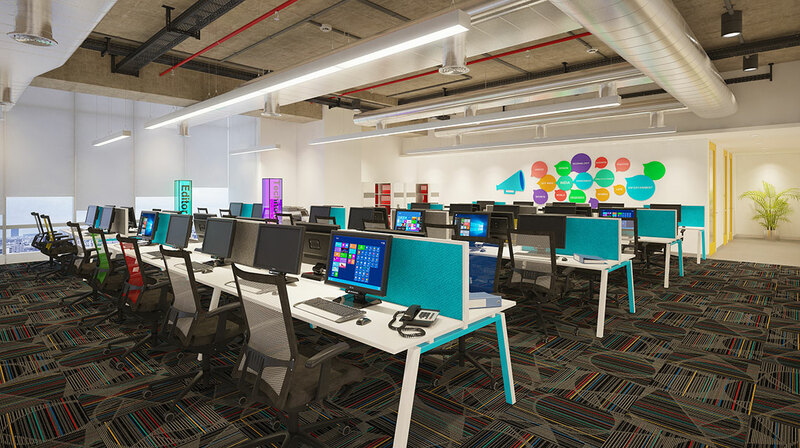 The design of the new office for BQ in Mumbai is a young dynamic newsroom with open studios. 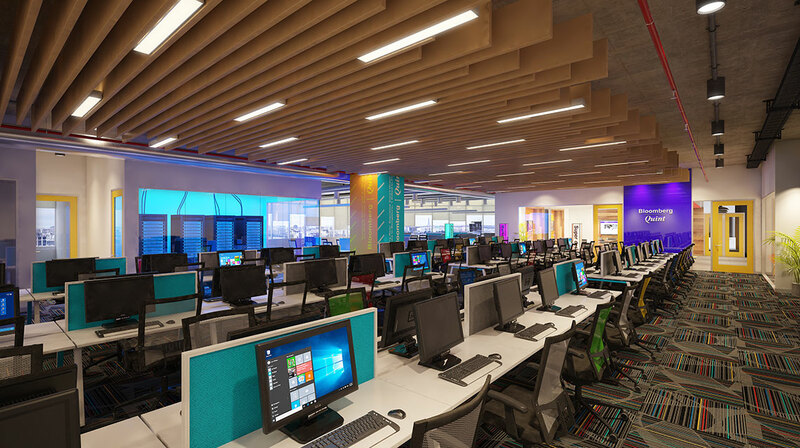 In line with their recent JV, design of the new BQ office merges the corporate, sophisticated look of Bloomberg offices with the eclectic touch of The Quint. 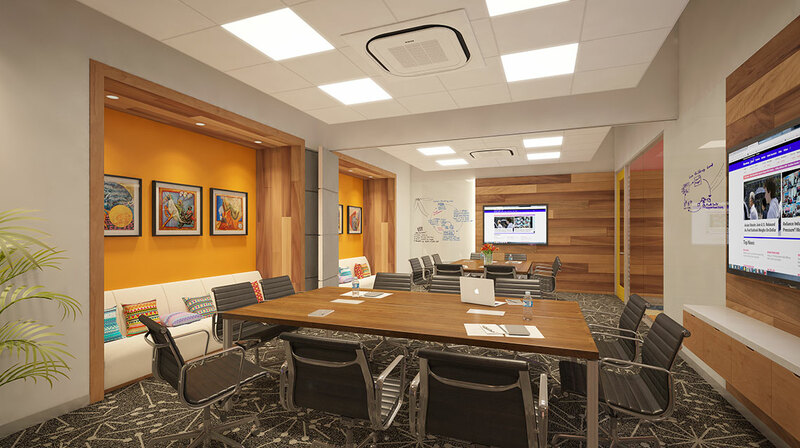 The space is planned with a street concept of open studios forming the nodes, around which the workstations are arranged keeping in mind the camera angles and movement, in the newsroom. Acoustics form an important parameter for space planning as the noise levels need to be controlled in the workspace. 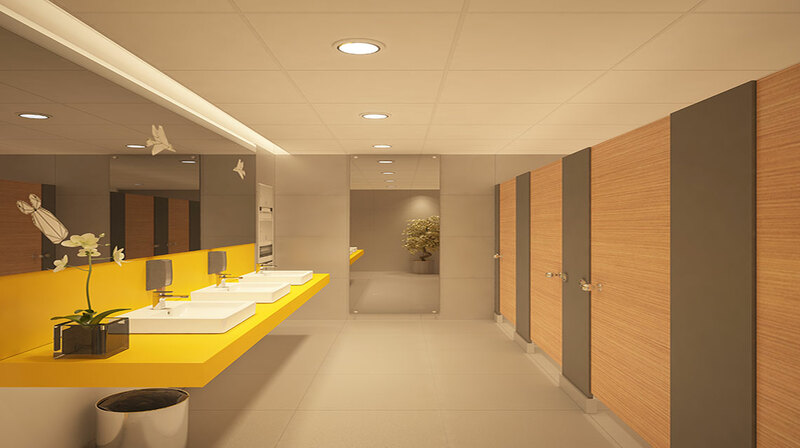 Return air ducts, used of acoustic cladding materials on solid partitions, segregation of noise generating activities, carpet floor help in achieving this. White worktops on a neutral grey carpet floor with bright colour accents in the floor as well as understructure of the desks make the space vibrant and contemporary, coupled with exposed ceilings and steel finish ducts which complete the look. Use of light pillars for wayfinding also gives a bright glow to the office. 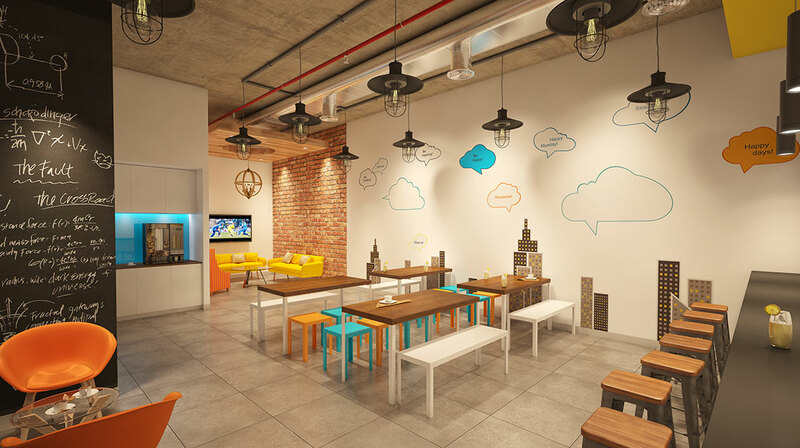 The cafeteria, designed as an informal space with the use of bright colours, benches and stools for seating, exposed ceilings and hanging lights, is separated from the newsroom to control the noise levels. 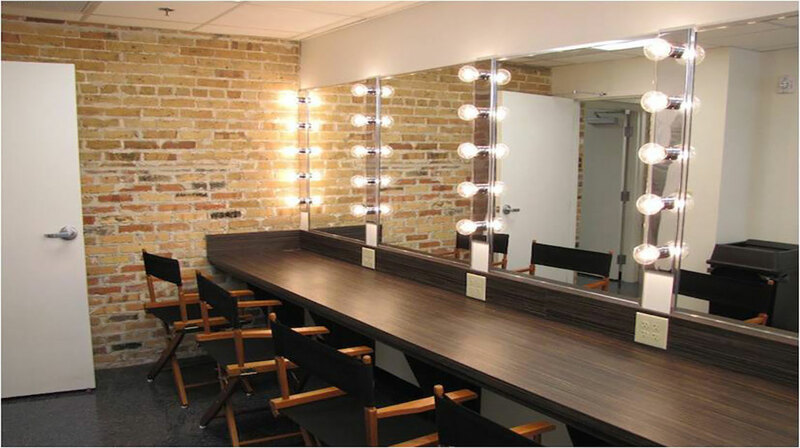 It also functions as a multipurpose space. Technical areas like the CAR, PCR, MCR, Server Room, etc. form a major part of the facility and are clubbed together in one part of the floor plate.